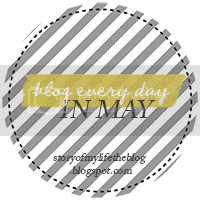 Day nineteen: Five of your favourite blogs and what you love about them. You Picked a Fine Time to Leave Me Loose Wheel A derby blog by Elektra Q-Tion. There's strategy, opinion posts, good advice and awesome drawings. If I see there's a new post on my reader I always read it last as I know it'll be rad. Good Golly Miss Holly Holly is intelligent, honest and hilarious. She's not posting as much these days as she has adorable children to look after (I hope she makes more) but when she does you know it's going to be good. All Derby Drills If you are looking at getting fit that will help with derby or skating then this is a must read. There's a ton of nutrition, exercise, on and off skate drills, strategy and coaching advice. This blog makes me want to coach. Pre K and K Sharing Since I started doing activities with lufflump I've been reading a lot of pre-k and kindergarten blogs. This is one of the best I've read with a range of contributors and ideas. Documenting Delight Georgia is amazing. I've professed my admiration for her before on this blog and I doubt this will be the last time. Her photos, writing and lifestyle are all so interesting and lovely. Amazing. Pendant north face france ce temps, l'élève pas cher décomposé en trois. Avec trois yeux des élèves, une paire d'yeux est doudoune moncler pas che de north face france six élèves. Avec la même douleur oculaire avec la dernière, pas cher north face france savait que les yeux doivent changer. Alors north face france pensez de votre propre Lianqi a amélioré. north face france Tout le corps north face pas cher a soudainement senti une puissante énergie, il semble voler en général. Rose se north face france précipita à la tête des masses d'air séparés de nouveau, se précipita à ses traits du visage. Douleur oculaire forcé lui a rompu les paupières, un faisceau rose émise par son élève, non loin d'un arbre est maintenant rupture de faisceau. cheap ray ban sunglasses uk Rock burst, http://www.gadgetscene.co.uk cheap finally assured that his fist has been good. Old guy, cheap ray ban sunglasses uk I do not sleep tonight, and see how you can cheap ray bans uk torture me. Ha ha ha ha, cheap ray ban sunglasses uk cheap cursed the old man, whoever secretly vowed to cheap ray ban sunglasses uk sleep tonight who told my son surname.